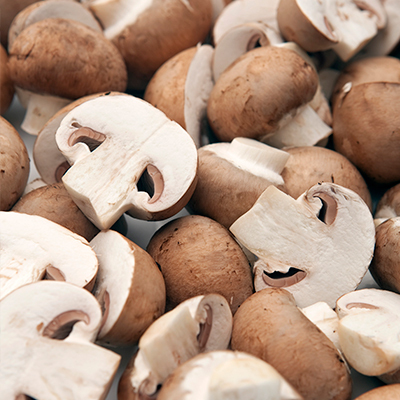 We know how to make the most of mushrooms. 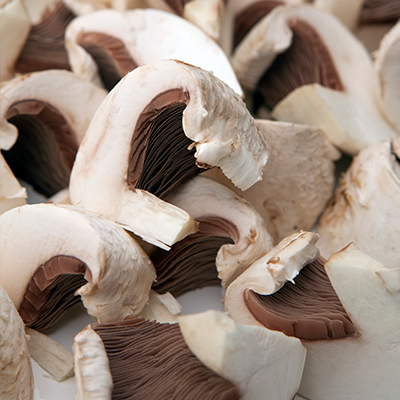 Our very modern mushroom preparation facility, also housed in Vale Park, produces a wide variety of options for our major food manufacturing clients. 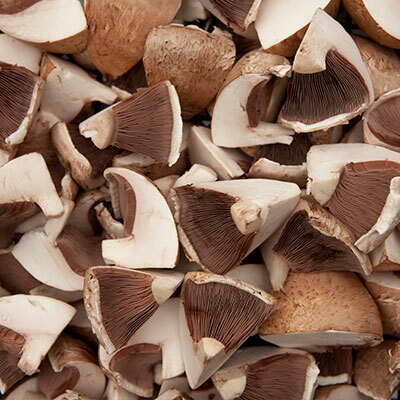 Ranging from sliced, diced, quartered, segmented or even just simply washed mushrooms. 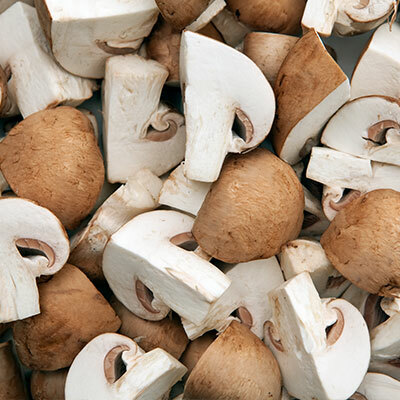 After packing into food grade crates or bags and passing through a metal detector, our quality mushrooms are submitted for final positive release, before shipping to their final destination in cold chain conditions. 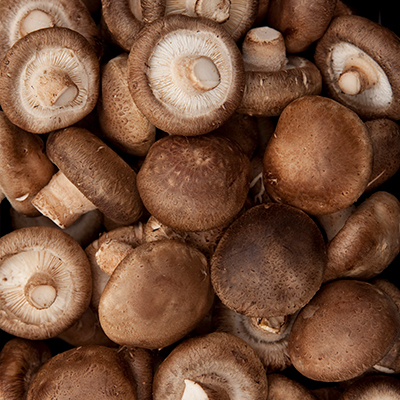 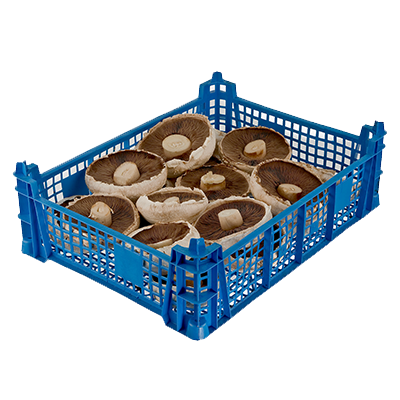 Our freshly prepared mushrooms are to be found in ready meals in every supermarket chain in the country. 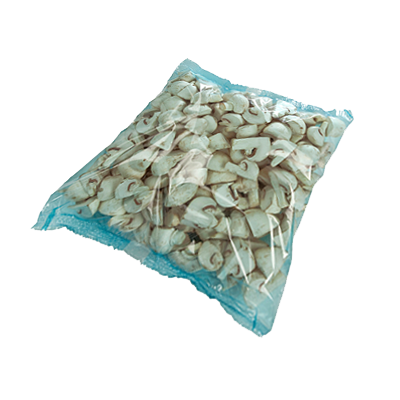 20-45mm in size and come either dry or washed. 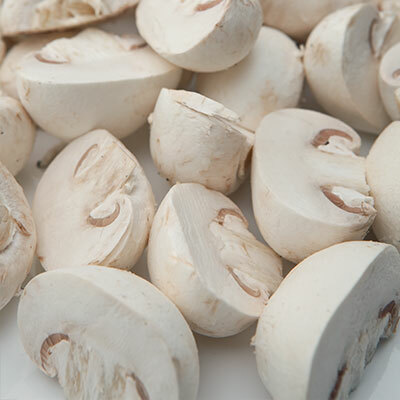 Half Cut Button: Half Cut Button Mushrooms are 20-45mm and cut in half. 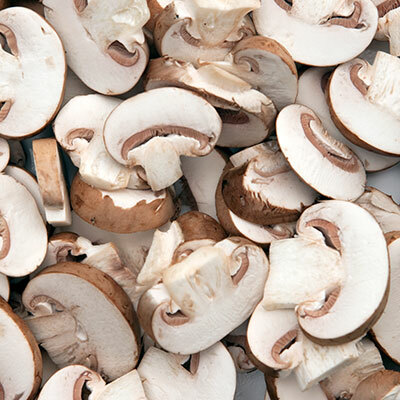 Sliced Buttons: Button Mushrooms of 20-45mm sliced in 5mm or 10mm, these can be offered dry sliced or washed and sliced. 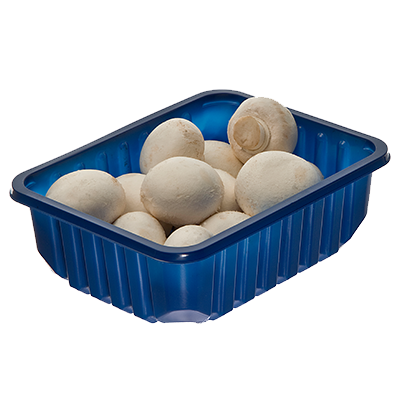 30-60mm in size and come either dry or washed. 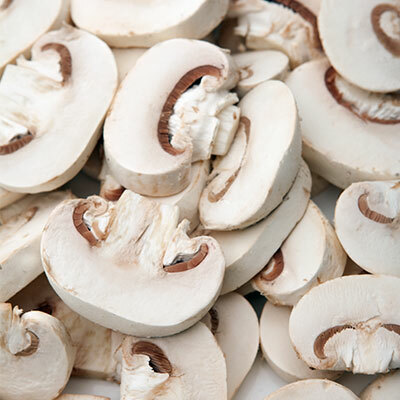 Sliced White Cup: White Cup Mushrooms of 30-60mm sliced in 5mm or 10mm, these can be offered dry sliced or washed and sliced. 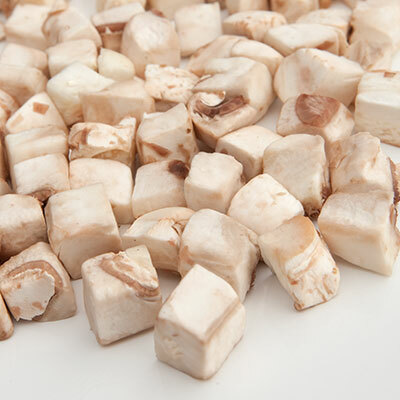 Diced Mushrooms: Offered in 5,10,15 or 20mm we can dice Buttons, White Cup, Chestnut, White Flat and Portobello Mushrooms. 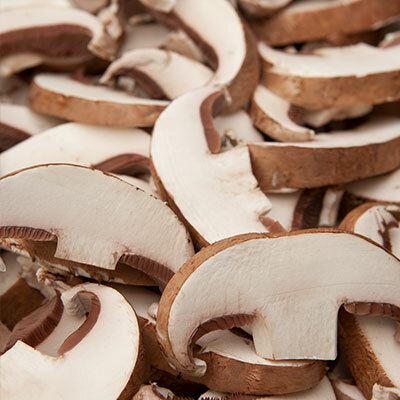 30-60mm in size then cut in to half. 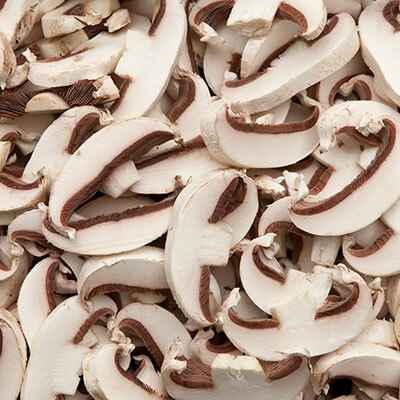 30-60mm in size then cut in to quarters. 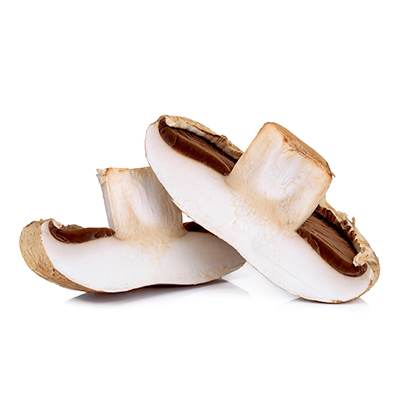 Sliced Chestnut: Chestnut Mushrooms of 30-60mm sliced in 5mm or 10mm, these can be offered dry sliced or washed and sliced. 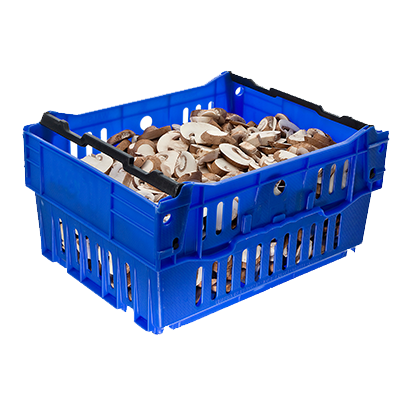 70-110mm in size and come either dry or washed. 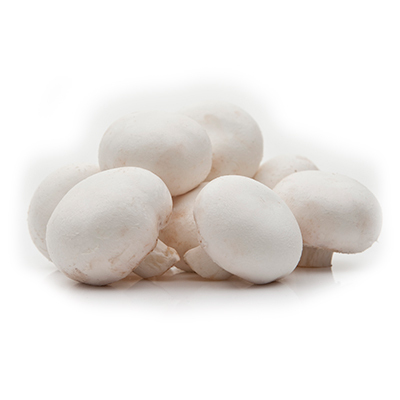 Sliced White Flats: White Flat Mushrooms of 70-110mm sliced in 5mm or 10mm, these can be offered dry sliced or washed and sliced. 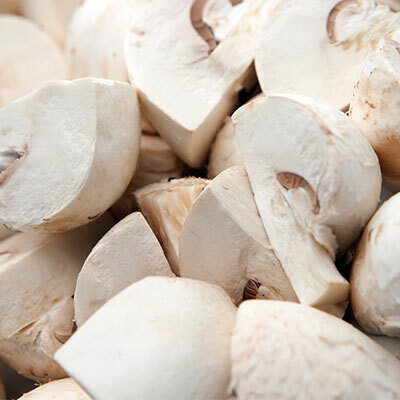 70-110mm in size then cut in to half. 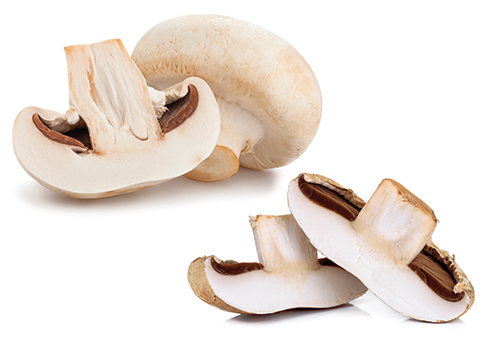 Segmented White Flats: White Flat Mushrooms are normally 70-110mm in size then cut into segments of 1/6th or 1/8th as required. 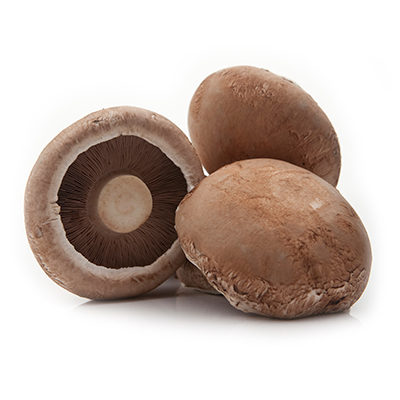 Sliced Portobello: Portobello Mushrooms of 70-110mm sliced in 5mm or 10mm, these can be offered dry sliced or washed and sliced. 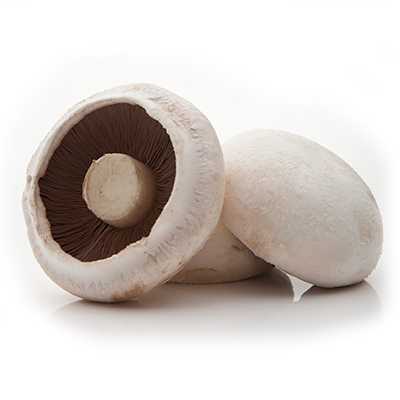 Segmented Portobello: Portobello Mushrooms are normally 70-110mm in size then cut into segments of 1/6th or 1/8th as required. 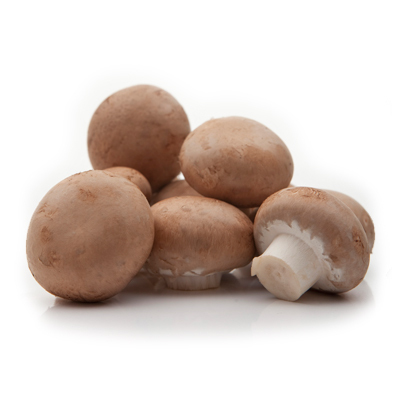 Shiitake: Shiitake Mushrooms, offered whole or 10mm sliced, in either dry or washed as required. 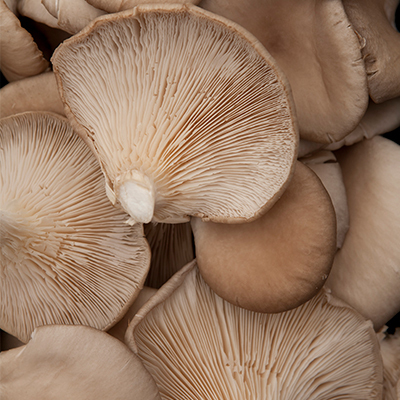 Oyster: Oyster Mushrooms, offered whole or 10mm sliced, in either dry or washed as required.